Yes, I think marketers will miss Vine — or at least they should. Content is everywhere, and it’s of varying quality. With every brand and thought leader trying to grab consumers’ attention in this crowded space, to the increasing variety of platforms that marketing professionals have at our disposal, we run the risk of ending up on the wrong side of the quantity-versus-quality debate. But Vine presented marketers with a unique challenge, and one that held us to higher-quality standards: tell your story, make it compelling, make it visual, and do it quickly. It made marketers better storytellers because we had to cut out all of the fluff. And, when done well, that six seconds on loop left a much greater impression on a potential customer than a video that is 10, 20, or 100 times that length. Consumers’ attention spans are getting shorter and shorter — down to eight seconds according to a 2015 study from Microsoft — so why would we want to make content that is longer? Plus, despite any financial concerns on Twitter’s end, Vine definitely had a passionate fan base, which was quick to express its disappointment at the news. These enthusiastic consumers were often significant drivers of video traffic. To give an example from my work at Monster, one of our more successful organic videos is a Vine — a simple, on-brand message about finding a typo on your resume. This is a story we could best tell in six seconds, and one that resonated with a lot of people. Views of this video, which you can see here (for now), made up more than 10% of all of our Vine loops – ever. Ultimately, Vine forced marketers to be the best versions of their creative selves by holding us to delivering content that our consumers really wanted, rather than droning on about our brand to serve our own agendas. It’s a shame that platforms continue to expand our canvases, admittedly at our demand, instead of continuing prioritize the creation of great user experiences ensured by rules marketers need to abide by—yes, I’m talking about you, Instagram. I could go on and on about this, of course, but I should probably keep it short. That’s kind of the point, right? It seems that Vine’s short videos were a harbinger of its short life span. After buying Vine in 2012 for $30 million, Twitter has watched the app’s user base sharply decline. 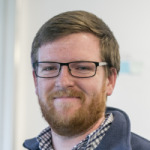 What once looked like a favorable investment, growing from 77,000 unique visitors to more than 3.6 million in the span of five months turned out to be a dud. After a slowdown in revenue growth and cutting 9% of its workforce, Twitter announced Vine would be shutting down. 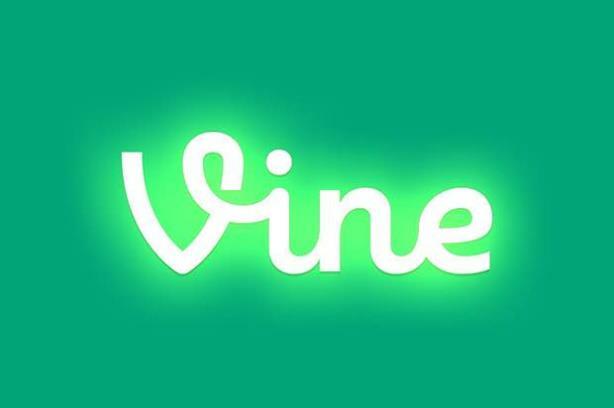 Despite the app’s poor performance, Vine is to thank for the rise in popularity of user-generated video. No other social media platform had ventured into streaming video content, and the nature of the platform made it an attractive target for marketers who could master the format. For many marketing and communications professionals, they saw the writing on the wall early: as other brands moved in to take market share, Vine never innovated. While Vine stuck to six-second videos, Facebook, Instagram, and Snapchat all regularly transformed to create more avenues for both marketers and content producers—and with a much more concrete user base. Snapchat, for example, is driving more than 8 billion daily video views from all mobile devices, and its audience seems to be ever-growing. Snapchat users have already seen the deployment, and success, of the app by brands looking to connect with not only a larger audience, but a younger one. As the third-most-popular app among 18-to-34 year olds, Snapchat has allowed brands from Gatorade to Taco Bell access to a younger demographic like never before. If anything, the bigger blow from Vine’s demise is not to marketers but to Twitter. The shutdown indicates a much larger issue surrounding a failing brand and a bad investment. It exposes growing cracks in the armor of a company that is currently up for sale as its shares continue to drop. In short, Vine’s shutdown will not have any kind of particularly negative effect on marketers, all of whom had already transitioned to other platforms to share and develop brand content. Vine’s decline does although serve as a warning in today’s marketplace about the necessity for constant innovation for both social media platforms and brands—one day you could be in with revolutionary six-second video loops, and the next, you’re out. PRWeek’s view: Will marketers miss vine? Sentimentally, yes; functionally, no. Vine’s moment had passed, but it introduced some brands to the short video landscape and many to influencer relations.